A lot of people are kicking up a stink over the camera not being included, but Sony has said in interviews that they’ll make a bundle for people who don’t have a camera already. They looked at the numbers and saw that they didn’t want to piss people who already have them off. I have one, it came with my PS4. I don’t want to and now don’t have to spend money on a second one. More options are always a good thing. I just wish Sony had said at the announcement that they’ll do the obvious thing and make a bundle for people who want it. To embrace new era of PSVR, it seems a good time for me to jump ship. PSVR is so appealing, too appealing. I kinda worry about the outlook of PC VR. Yeah, Game in the UK are offering a camera in bundle for an extra £40. 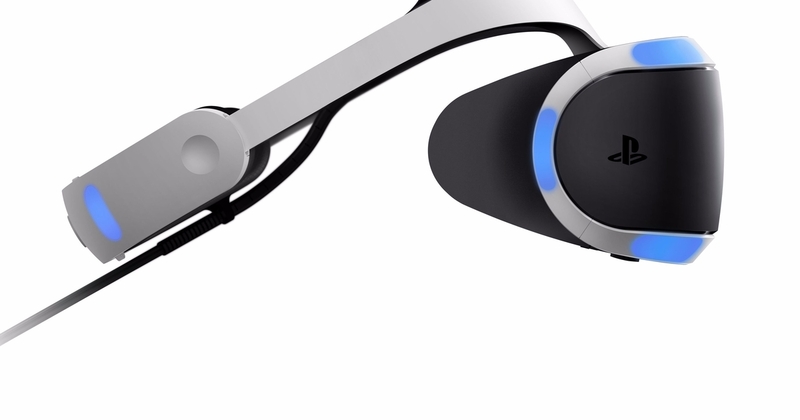 Both our PS4s have cameras from launch, so if we go VR we’re not bothered - we’ve also got Move controllers. In a way I don’t mind, because it means I’m not paying for something I don’t need (eg: Rift’s Xbox controller). There’s an official bundle in the USA for the camera, but the Game one is pretty clearly signposted. Absolutely. On one I get the Rift adding in a controller to every bundle but at the same time, how many people buying a rift don’t already own one or could get one with ease? Just sell it as an add on, don’t force people to spend money on something they don’t need. Yeah, on an expensive as hell product such as the Rift, don’t inflate the cost another £20 with a compulsory controller that lots of people don’t actually need. Palmer Luckey was trying to make out that the controller was free, but unless Microsoft have suddenly become very generous then there has to be a cost somewhere to providing it that gets passed on. I wonder if Sony is pulling the PS3 sale model trick where they were selling it below production cost. I doubt it to be honest. Sony’s finances have been dire, and the PS4 was expressly designed to turn a profit - and the PlayStation division is pretty much keeping Sony afloat solo. A loss leader would utterly ruin that. I’d bet they’re either making a small profit, or cost at worst with plans to drive their fixed costs down in the future. EDIT: Yep, not a loss leader. Indeed “every device since the PlayStation 4 has been in the black”. Hell yeah!! Dead or Alive Xtreme 3 is gonna offered free for Playstation!! Well, at least for the core part anyway. You still need to buy addons to enjoy the full game. And the justification for this offer? People ain’t really “playing” this game anyway, they are just “watching” it, and for doing so they can simply watch youtube and online photos. I almost laugh to the sky upon hearing this. Actually this isn’t the first time. DOA5 also has a free core pack, only that it is not for PC. Damn. Damn it, I really must buy a PS4. The reason why there is no need for PS4.1 in spite of lack of sufficient computing power of PS4 to run PSVR has been revealed: the additional processor for the necessary computer power will be housed by PSVR itself! What does PlayStation VR's external processor unit actually do? Of course Sony refuses to officially refer to the additional processor to be dedicated to PSVR as either CPU or GPU, but I must say that this is very genius, both from marketing and engineering perspective. Sony have explicitly said the external box is not for rendering and does not alter the PS4 in the slightest. It takes the VR rendered output from the PS4 and warps the image back to mono vision for display on the TV. This then allows asynchronous play or simply a social screen where the contents of the headset can be seen. The PS4 does all rendering and compute tasks. Ergo the PS4 is running VR without assistance. Did you even read the link you provided? It provides no extra GPU or CPU power. It’s not any form of PS4 expansion or upgrade. [*]It’s not directly accessible by the developer in any way - code cannot be written to it. “The PS4 is perfectably capable of 120Hz all on its own,” said Norden, emphasising that the main game rendering and processing is all carried out by the main console. This then allows asynchronous play or simply a social screen where the contents of the headset can be seen. It does indeed allow for those kind of scenarios - one VR example is the bomb-defusing game, Keep Talking and Nobody Explodes. Right now it is designed for one player to see the screen/have a VR headset on and the other players to be looking at either a printed manual or on-screen instructions…but they absolutely cannot see what the first player sees. PlayStation VR would make this easy - the bomb defuser has the headset, and the other players access defusing manuals on the second asynchronous screen. They’ve shown that sort of gameplay in the trailer for Playroom VR. Up to five players with one being say a monster chasing the other four who are little robots. Sony is currently planning a new version of the PS4 with increased graphical power and games running at 4K resolution, developer sources tell Kotaku. And it is referred to in this commentary as “4.5”, haha~ but anyway it’s referring to the same thing. Just serves to remind us that just because Sony did not announced in previously anticipated occasions doesn’t mean that the possibility goes away. And this report furthers my fear for the fact this time it was third party developers who leaked the info. Sony no only had given a serious thought on it, I would bet the green light has already been granted. But for a corp being known for its legendary “Sony Killswitch”, why should we be surprised anyway. The day I trust Kotaku as a news source is the day I die. Mark my words, Sony may well release a PS4 that supports 4K BluRay playback and has HDMI 2.2a. It will not have an upgraded GPU or CPU. Essentially 4K resolution will be possible, and it may even allow games to run at that resolution, but they’re not going to upgrade the core hardware. Sony have spent the entire of GDC just gone telling developers that the benefit of PlayStation VR is a single fixed hardware target for the life of the platform. Kotaku are, as usual, taking a simple rumour of an upgraded HDMI port that supports 4K video playback and spinning it in to something ridiculous. Why? Because, as the originator of the rumour it gives them page hits. That’s all they’re interested in. Certainly not the veracity of their claims. 4K is a ridiculous resource hog. A 980Ti is barely able to produce playable framerates on PC at this resolution - and this a £500 graphics card that demands to be coupled with an expensive main system to feed it data. Simply put, Sony cannot bend the laws of finance to fit a £500 GPU, £150+ CPU and all the other bits in to a £349 (sub £299 now) box. It cannot be done. The target resolution for this generation is 1080p - 4K gaming will be the PlayStation 5. 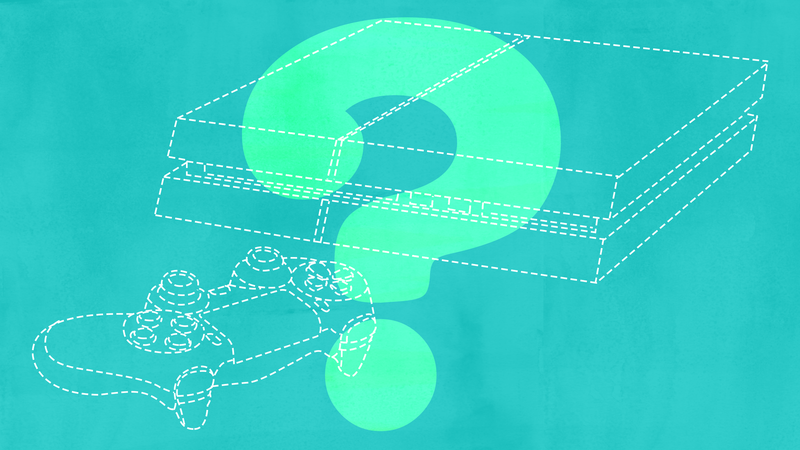 The next PS4 will be smaller, as is always the way, and it will have a new HDMI 2.2a port. That is all. Well, this time I won’t dare to bet against you, I’m afraid. Sony had given a very damn serious thought on PS4.5 (I love “4.5”, which is much cooler than “4.1”, haha), that I can be for sure. But will the concept be eventually implemented? I really can’t tell for now. As I’ve said, such stupid move will no doubt ruin the great brand of Playstation. Executives with one ounce of sanity won’t do it. However, you really cannot predict what kinda stunt those street-smart MBA, who conceive themselves not as godlike but simply outsmarting god, will do. BTW you know who started the term “Street-smart MBA”? Donald Trump in his legendary TV trueman show Apprentice. The target resolution for this generation is 1080p - 4K gaming will be the PlayStation 5. I’d be willing to bet that 4k will never be mainstreamed. The jump to HD made sense, especially as flat screen displays made larger console sizes practical and the problems with standard def displays became apparent. But 4k is not necessary and takes too much horsepower on the back end. 4k or something will be mainstreamed eventually. Colour and hd weren’t really needed either but it didnt stop those. Indeed. 4K panels are getting cheaper and cheaper, so they’re now hitting the price points where they’re affordable by people upgrading their TVs. Give it another few years and they will be the default choice on a new TV, with 1080p being the absolute budget option. As for powering said screen, more challenging. There are new GPU designs on the horizon that may, at last, make 4K gaming feasible, but then that has to be shrunk down to PlayStation size. Going on previous generations we’ve got at least another 5 years with the PS4 though. As for powering said screen, more challenging. Prepare to rebuy all your old movies on discs again as physical media new shot of life.